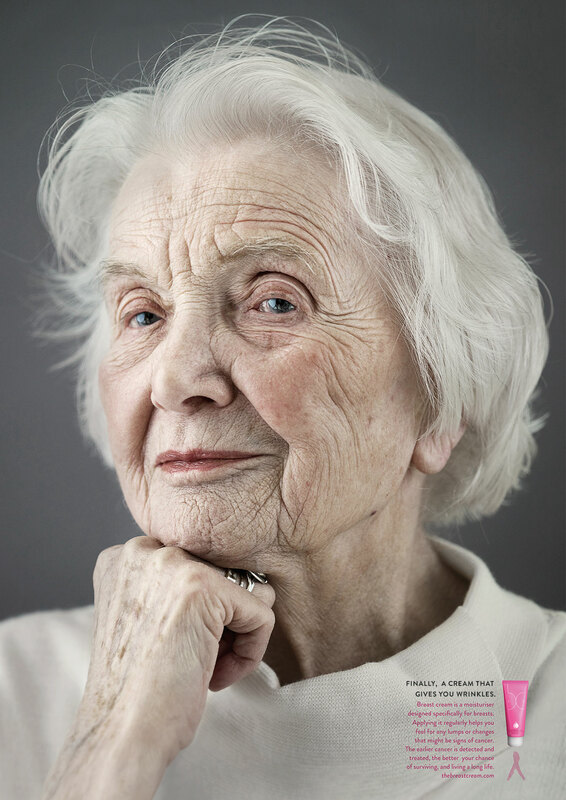 This breast-cancer awareness campaign from Colenso BBDO in New Zealand won a gold Lion at this years Cannes. It is build on the insight that about 50 percent of breast cancers are detected outside mammogram screening. So if women would use a skin cream on their breasts they would be much more likely to detect lumps while applying it. The New Zealand Breast Cancer Foundation partnered with natural beauty products brand Skinfood to launch just that—Breast Cream, an entirely new moisturizer. This campaign combines clever product development with a wonderful print ad to memorably break through, and even change behavior in an unexpected and attention grabbing way. It positions Breast Cream as the first skin cream that gives you wrinkles — because, of course, using it might well allow you to live a much longer life. Signature International is taking on a new appearance as a digital coffee table book produced and published by Rosalie Miller and Melanie Huynh. The first volume is dedicated to Emmanuelle Seigner, who is revealing herself exclusively around the value of Creativity. The featured artists offer the visitors a unique digital experience by sharing their world, their identities, tastes, values, civic actions and inspirations. The browsing experience is made interactive through the concept of enhanced augmented browsing and content, which allows to discover: The fleeting animation of a photograph. The tastes, places, objects and things evoked during the artist’s interview as she/he mentions them. The brand of a piece of clothing, accessory or product the artist is wearing. The link to download an application in connection with a detail on a picture, in a highly intuitive way. Björk has released a 360 degree virtual reality music video for Stonemilker, a track taken from the album Vulnicura. With the upgrade of YouTube 360 degree technology the Stonemilker film has now become available online. To enjoy the full 360 experience you need to watch the video on desktop Chrome or YouTube apps for Android and iOS. For an immersive experience, you can even watch 360 degree videos with Cardboard and the YouTube Android app. The launch of 360 videos is not a revolution, but the technology is not fully exploited yet in mass market. It is a great way to create a new feeling of watching videos, by creating new perspectives for the viewer. This is a usefull tool for all Vlogger from beauty to fashion, but also brands can use this technology to create a new perspecitve/view on their brand and products.